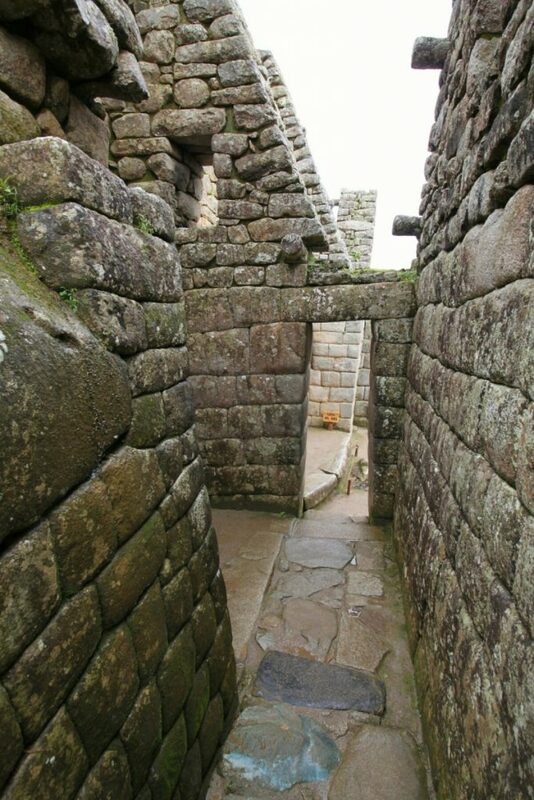 The checkpoint into Machu Picchu opens at 5:30am. We were there at 3:30. It’s funny. On the last day all the groups vye to be first in line at the checkpoint. 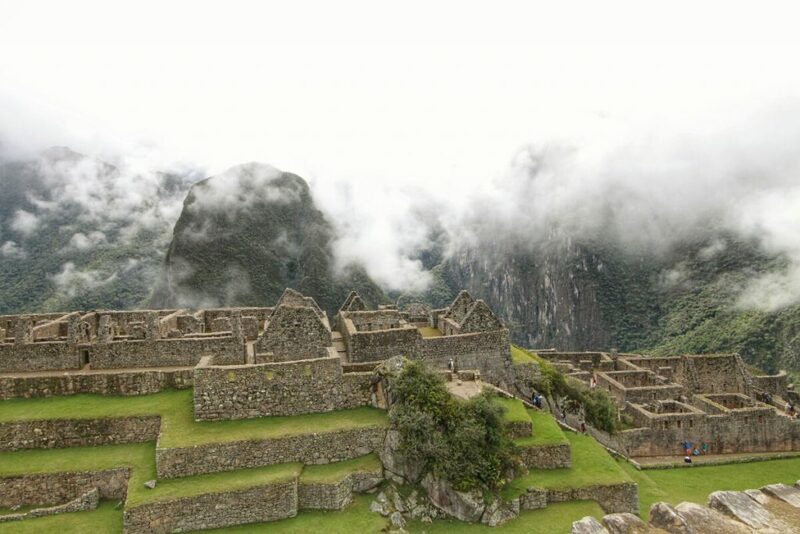 This obviously means you’ll be the first into Machu Picchu, but perhaps more importantly, you’ll get a seat under cover. Sleep in, and you’re left standing in the rain. It’s a bit of an arms race. We were there by 3:30am, to be third in line. We sat at the checkpoint as more and more people arrived. We got to enjoy the blasting music of one of my favourite kinds of tourists, the Loud Australian Expert. Some older English woman started to complain, at first at nobody in particular, and then for some reason, to us because we were lucky enough to be sitting closer to him. I quickly made a judgement call that I liked her less than him, and the music persisted. Finally the checkpoint opened and we shuffled through. The checkpoint is still a two hour walk from Machu Picchu. You walk the first 20 minutes or so in the dark. As the sun rides it quickly becomes warm and humid. The first hour is uphill to the Sun Gate. Reaching the Sun Gate is supposed to be the big payoff for the entire Inca Trail; the first glimpse of the lost city of Machu Picchu. We got fog. Thanks nature! We continued the walk down towards the city, lost in fog. As we approached, the ruins became more clearly defined. And then we were there. Machu Picchu is really quite impressive. And enormous. All the other ruins we have visited are tiny by comparison. And thanks to not being found by the Spanish, is in good condition and largely intact. We toured the city with Valentine as guide as the cloud came and went. The city is vast. 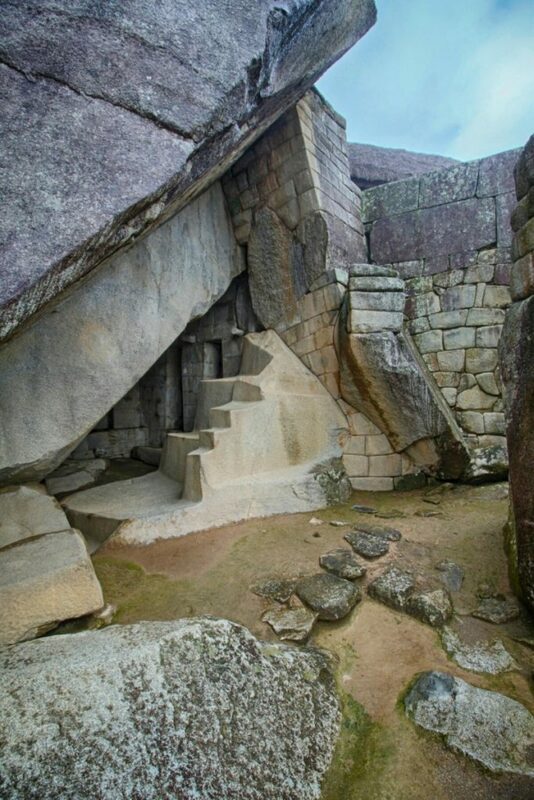 You get to see the Incas skill with stonework, architecture, hydro-engineering, and their obsession with the sun. The Temple of the Sun itself is closed to the public now, but everything revolves around the winter solstice, the start of the new year. There are different building techniques depending on the importance of the work. Residential buildings use stone and mud mortar. The King’s palace uses the seamless mortarless technique the Inca are famous for, while religious buildings take this one step further and make all the stones uniform in size. And at precisely this moment, Renée gets sick. From Renée: to truly understand the immense size of the ruins, my body decided to see how long it takes to run to the toilets (at the main entrance) from the opposite side of the archeological site. Answer- too long. The quarry was also interesting. 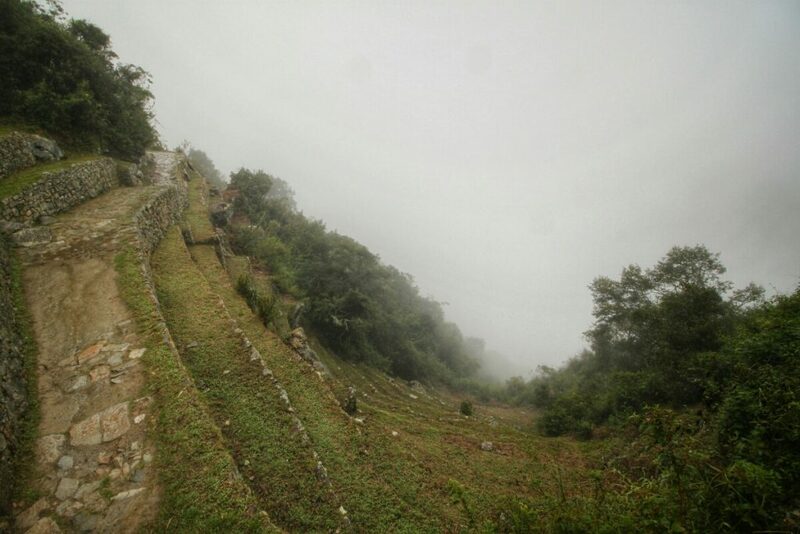 Unlike some Incan sites, the stones for Machu Picchu were already on site thanks to landslides. 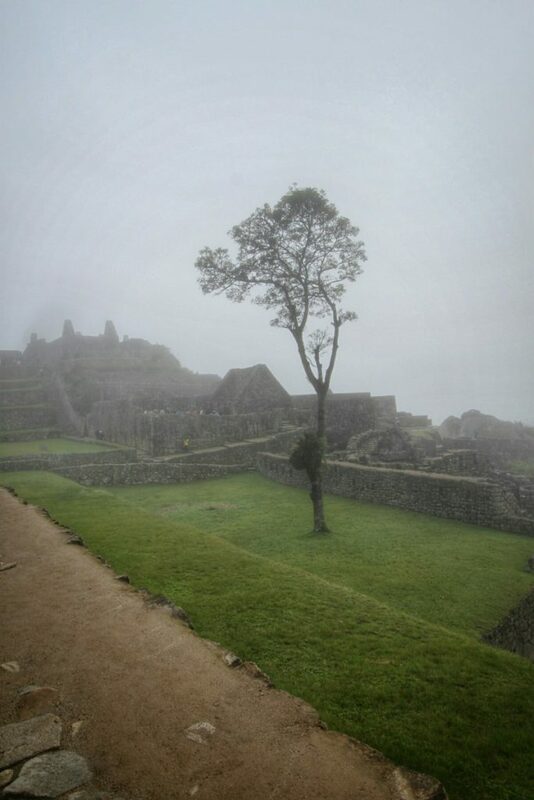 The city was still being expanded when the Inca abandoned it. The quarry shows enormous stones in various stages of work, as if the stonemasons just downed tools one day and never came back. 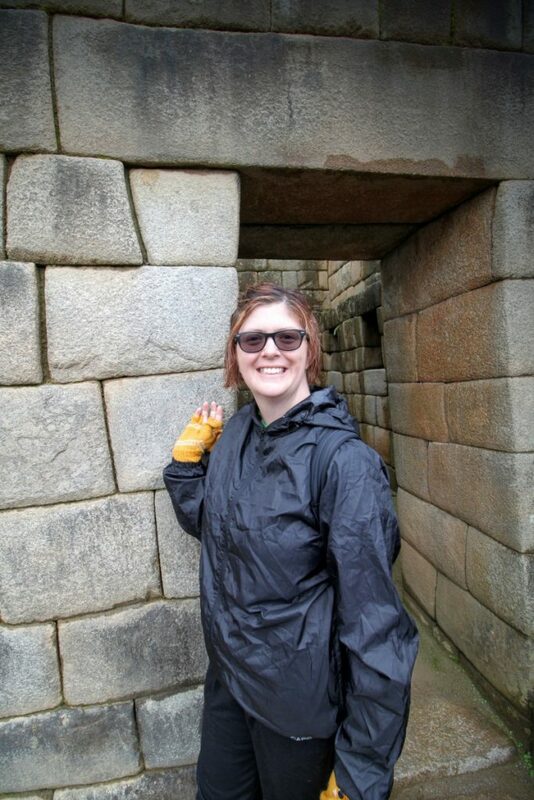 So, as Renée asked, why do the Inca Trail? Because it is an amazing trek. It’s difficult, even with the porters doing most of the work, and there’s a genuine payoff. Not just in reaching Machu Picchu, but in other milestones along the way, especially the end of day 2. Because if you don’t you’re stuck on a train with thousands of people. The number of people at Machu Picchu was the letdown for me, and I quickly developed a big sense of entitlement. I walked four days to get here, what are all these bloody tourists doing here!? 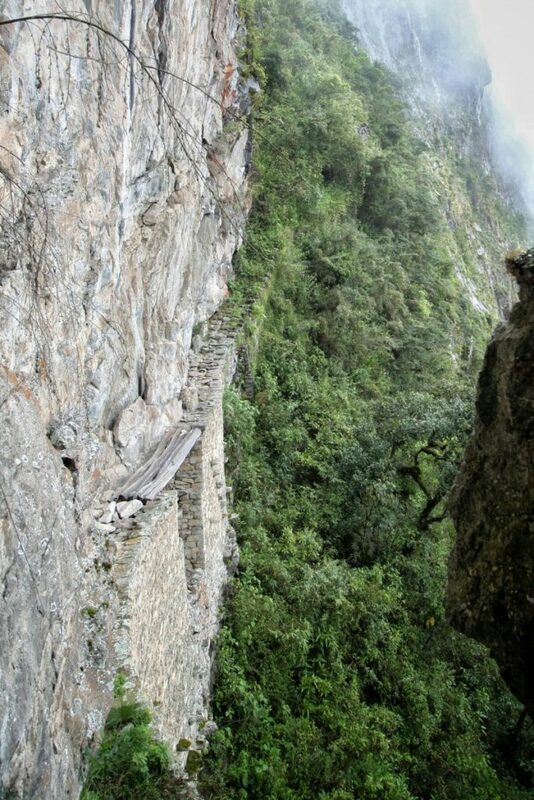 So do the Inca Trail. It’s beautiful, though hard work. Or do the Lares Trek if you want fewer people around. But don’t catch the train. 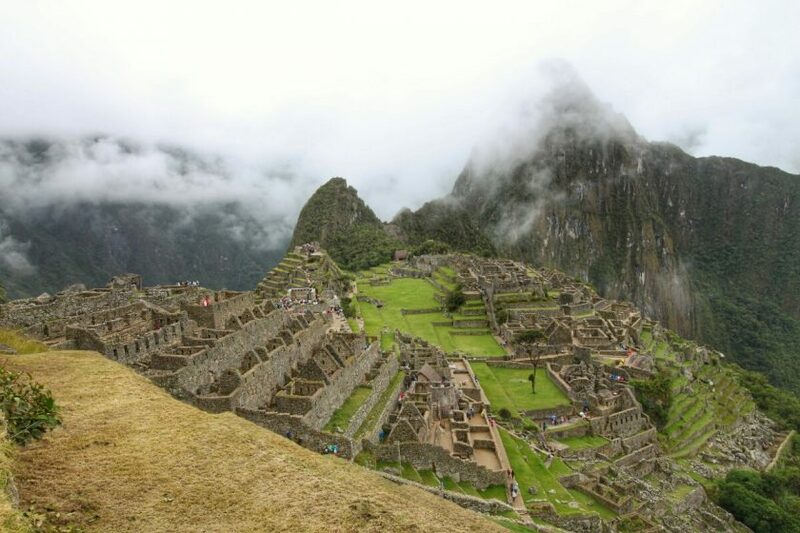 You’ll be one of those people, and Machu Picchu will be just another ruin to check off the list. 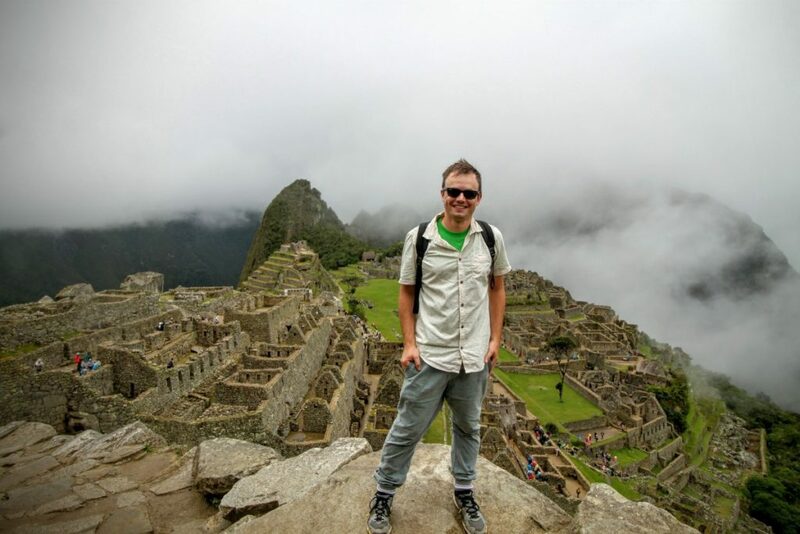 ← Why do the Inca Trail?